Folks will begin to gather around 2:30 pm. The service will begin at 3:00 pm. The Rev. Caron A. Gwynn will celebrate the liturgy with an adaptation from Enriching Our Worship Prayer 3 and music. To view Special Use Permit please click here. 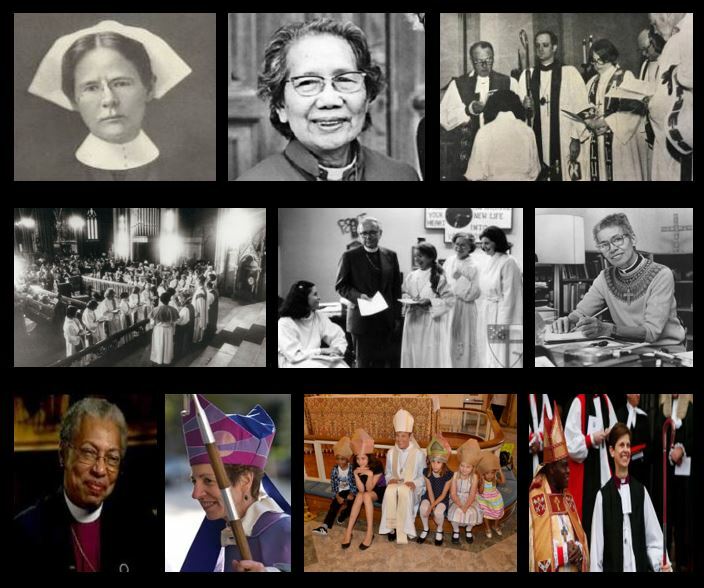 This year churches here in the United States of America and around the world will be celebrating Women’s Equality Day in the church using the below liturgy. Helene de Boissiere – Swanson will attend a function at the Sewell Belmont as the Founder of Katrina’s Dream along with other national leaders of women’s organization to honor Supreme Court Justice Ruth Bader Ginsburg. Briefing starts at 10:00 am in the John F. Kennedy Caucus Room, which is located in the Senate Russell Building SR – 325. 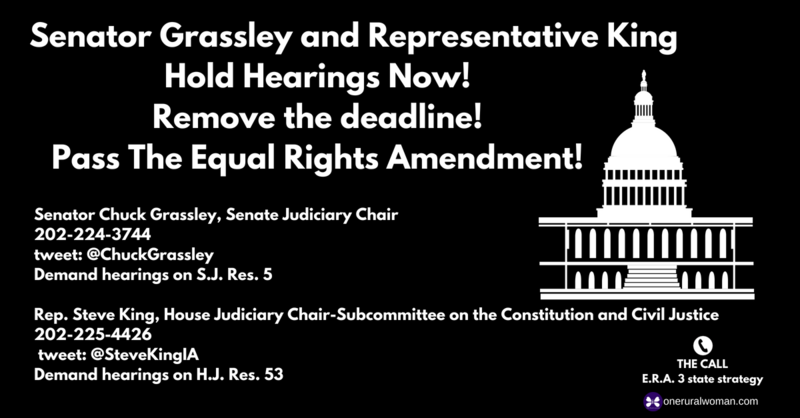 Join the Thunderclap in demanding that our U.S. Congress hold hearings on the Equal Rights Amendment. Click Here. For a sample telephone script Click Here. Folks will disperse to drop by senator’s office for advocacy pack drops at the remaining U.S. Senate offices. Folks meet up at Meeting place will be updated shortly. Meeting at Representative Steven Kings to be announced.